Let’s start with the classic – the Beauty Elixir. It’s definitely what I would call a cult product, but for good reason because it’s such a treat to use. Inspired by the elixir of youth, the mist is a really fine spray that can tone the skin, refresh and brighten and set makeup (it’s heavenly to wake up skin in the morning). It smells incredible – it has a mix of rosemary, orange blossom, rose and mint which rejuvenates the complexion really nicely. This beauty has pride of place on my dressing table as I reach for it every morning for a boost of radiance. If you’re looking for an effective moisturiser I would point you in the direction of the Vinosource Moisturising Sorbet – it’s a great skincare staple. A no-thrills option in the best possible way, because it’s heavenly for soothing sensitive skin. It can be mixed in nicely with existing moisturisers to ramp up the hydration or (like me) used in the morning before makeup. Packed full of delicious hydrating ingredients like glycerine and shea butter, it’s a refreshing hydration boost for a parched complexion. Lastly, I love the Gentle Buffing Cream for its gentle exfoliating, skin-softening formula. I like chemical exfoliators but sometimes something physical and slightly grainy like this is a good change for the skin. As it’s so hydrating in texture, it doesn’t leave skin feeling sore or stripped – I use it once a week before following up with a heavy duty oil before bed. 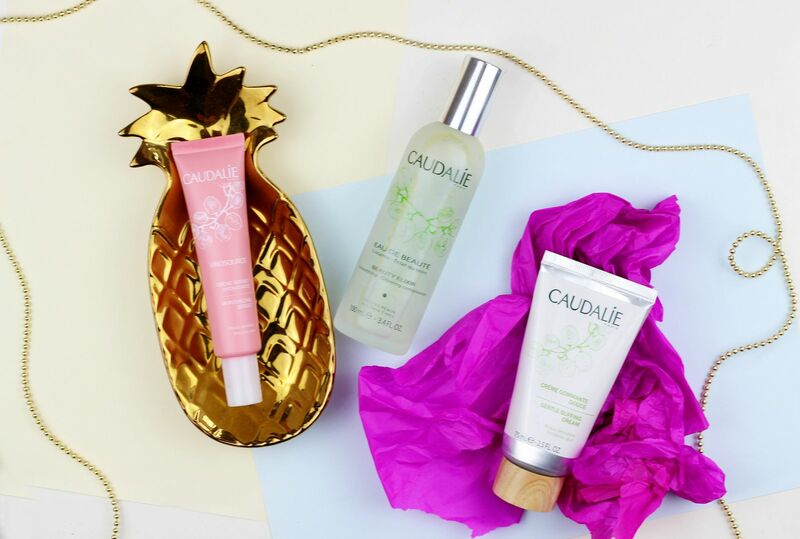 Have you got any Caudalie favourites?